Having just recovered and on a high from Room Lockdown’s fiercely sinister “Possessed Doll” room, which admittedly we found far more intense than we had naively anticipated, the atmosphere took a solemn turn as we were asked to read through a catalogue of warnings before entering the Xtreme room, which to date had been open for three weeks solid and so far had a 0% success rate!!! Emma the once cheerful receptionist (and co-owner) who played us the introductory video had become really rather serious, “Are you absolutely sure you are happy to commence?” she asked twice before handing us a pen to sign the disclaimer. This simple act alone had amped up our fear factor and we loved it, both excited and a little bit terrified we eagerly signed up - then we couldn’t help but feel uneasy wondering what misery lay ahead over the next 90 minutes! Suddenly our team was split, two of us were frog marched off to another room leaving the remaining two waiting nervously and somewhat fretful over their friend’s fate. Our mind's raced, which of the many potential horrors we’ve just read about were they being subjected too??? Although it was probably no more than a couple of minutes, the anticipation of what was going on and what was yet to come for the final pair felt like forever. Without giving too much away, the way you’re escorted to the room sets the precedent to the game from the offset. 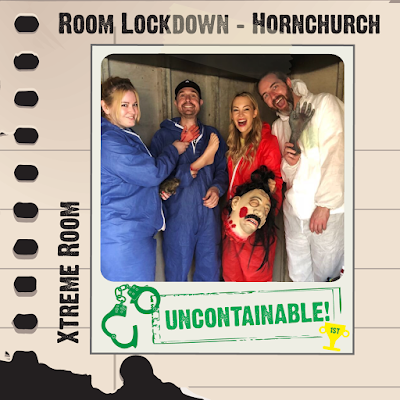 The Xtreme room was more than living up to expectations and our game hadn’t even begun! The main room itself was an extremely clever use of space with a very real feeling of confinement. The set was incredibly intimidating and plausibly felt as though we’d been permanently contained, heightened by the inclusion of one menacing character whom executed his role brilliantly. We found ourselves genuinely fearful of him and every time you heard his footsteps returning to the game area we all shuffled nervously aside, almost cajoling each other to the forefront in hope that you wouldn’t be the one who was picked on next! The puzzles were a mixture of complexity, some we got quite quickly and others were near impossible - this might have something to do with the fact that in order to get any clues here you needed to make "a sacrifice", and it’s these sacrifices that really honoured the games namesake! It was only at the end of our game we realised we got off quite lightly with the selections fate had handed us. It’s worth addressing that we’ve been critical of having hosts in the room in the past, but for Room Lockdown’s Xtreme Room and it's vigorous attention to detail we will gladly admit we were wrong. George, who played the role of our host was simply outstanding; from his menacing mannerisms, emotionless and unnervingly stern voice, to his heavily detailed authentic costume and nerve-jangling door slams - this was a huge leap in the lacklustre host-in-room characters we’d met in the past. …So you can also imagine our surprise at the end of the game, when George along with Emma who initially greeted us on our arrival, both came to congratulate us on our escape! They were, well… the sweetest and most charming of all people. We were thrilled to be the first team ever to escape The Xtreme Room, completing by the skin of our teeth with just two minutes to spare! Whilst Room Lockdown is a business, its obvious it’s one built through a true love of the Escape genre and that passion certainly shows. 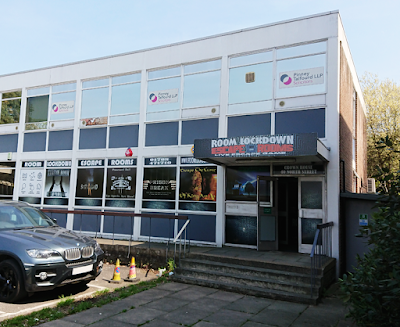 The theming, puzzles and overall attention to detail here was in a league of it’s own in comparison to other escape rooms we’ve played across the UK. This particular room genuinely broke the mould, pushing ideas and boundaries of the escape room right up to a whole new level. And there's icing on this cake; the pricing of the games at Room Lockdown (£15 per person at all times) makes them easily the best value escape games we have played up to now! 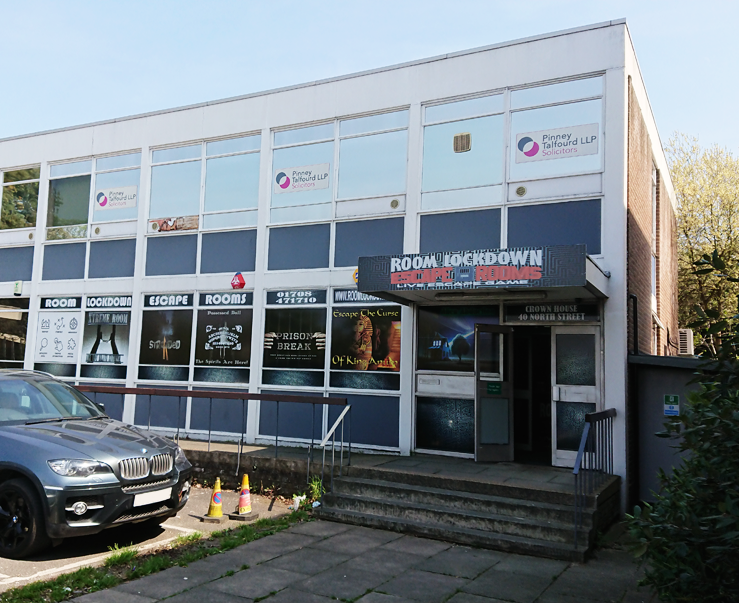 We will certainly be returning to try their other rooms in the not-so-distant future!